The issue of Baseball America that popped into my mailbox Wednesday has as the subject of the Twins system update Estarlin de los Santos (left), a 23-year-old shortstop who the Twins put on the 40-man roster this offseason even though he hasn't gotten out of A ball and hasn't played a full year's worth of games the last two seasons combined. "He's really the only true shortstop we have in our system." So much, then, for Trevor Plouffe, the 20th overall pick in the 2004 draft. He's now spent a year and a half in Triple A, and he hasn't forced the Twins to make plans to have him in the show. So much, too, for the other shortstops populating the Twins minor league rosters. Plouffe's failure to develop as anticipated motivated the trade for J.J. Hardy. 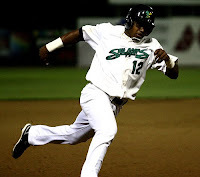 The scarcity of athletic shortstop prospects probably motivated the heavy activity this year in the Dominican, including the signing of Miguel Angel Sano (or Miguel Jean; he apparently hasn't yet decided if he's using the his mother's surname or his father's) for more than $3 million. Sano is to begin his professional career as a shortstop and stay there until he proves he can't handle it. Mathematically, this decade beings with 2001 and ends with 2010, but who cares about the math; '00-'09 is the decade to most of us. And picking an All-Star team out of the 10 years is an artificial construct — akin to the argument that Jack Morris belongs in the Hall of Fame because he won more games in the 1980s than anybody else. 1) Denard Span, LF: His .305/.390/.422 in 1,087 plate appearances (and superior defense) outweighs Shannon Stewart's .294/.354/.418 in 1,523 PA.
2) Luis Castillo, 2B: What, you were expecting Luis Rivas or Nick Punto? 3) Joe Mauer, C: Sorry, A.J. Pierzynski. 4) Justin Morneau, 1B: It didn't take long for him to shove Doug Mientkiewicz aside, in real life or in this exercise. 5) Torii Hunter, CF: Time for a right-handed stick. 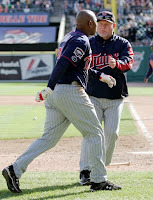 6) Corey Koskie, 3B: The best player of the team Ron Gardenhire inherited from Tom Kelly. 7) Jason Kubel, DH: Good and getting better. If only he hadn't wrecked that knee. 8) Michael Cuddyer, RF: Jacque Jones had more playing time, more homers, more RBIs and more runs, and when the two were on the same team, it was JJ who was the lineup fixture. So why do I take Cuddyer? Because (a) Cuddyer had the better percentages (.270/.344/.457 for Cuddyer, .279/.327/.455 for Jones); (b) Cuddyer is a legitimate RF, and Jones wasn't; (c) this lineup already has five left-handed bats and two switch hitters, and lefties ate up Jones; and (d) I always figured Gardenhire was making a mistake by not getting Cuddyer in the lineup regularly. 9) Cristian Guzman, SS: Jason Bartlett played better, but Guzy was around longer and made an All-Star team — and his arrival in 1999 marked the beginning of the revival. RHS: Brad Radke. Probably did his best work in the 1990s, but 82-71 isn't shabby. To put 82 wins into perspective, only four RHP have won more games as a Twin (Bert Blyleven, Camilo Pascual, Jim Perry and Dave Goltz) than Radke did this decade. LHS: Johan Santana. Who else? Closer: Eddie Guardado? Joe Nathan? I loved Everyday Eddie, but Nathan brings better stuff. In the five seasons since Corey Koskie departed to explore free agency and the wonders of post-concussion syndrome, the Twins have deployed 17 players at third base. The instability is not yet over; Matt Tolbert finished 2009 as the incumbent, but during the winter meetings Ron Gardenhire indicated that if the Twins open with their current set of players, Brendan Harris would probably have the job. The roster, however, is not set, and the Twins are believed to be hoping to snag a veteran to round out their infield. They have Justin Morneau at first, J.J. Hardy at short, and Nick Punto at either second or third. Earlier this month I listed eight free agents (not including Joe Crede) to whom I could imagine the Twins making offers. Of those eight, two — Placido Polanco and Pedro Feliz — have signed, and a third — Mark DeRosa (above) — is apparently about to complete the details of a deal with San Francisco. That still leaves a fairly sizable crop of free agents sitting out there as we approach the new year. Patience may yet pay off. Fox Sports North on Friday night aired an edited version of the TBS broadcast of Game 163. Since I was at the game, this was my first sizable exposure to the TBS version, which has gained a certain infamy for a widely panned play-by-play performance by Chip Caray (who has since been bounced from the TBS baseball crew). Watching the game in person and watching it on the tube are different things. I was essentially stuck in one place, with one angle, during the game itself; on the other hand, my experience wasn't being filtered through the TBS production. 1) Ron Darling seemed oddly impressed by the notion that Ron Gardenhire thinks his team has a lot of ballplayers. What did Darling expect, that Gardy thought he had a squad of supermodels? Anyway, Darling repeated this observation twice, both times during (excellent) at-bats by Nick Punto. The FSN version skipped the erroneous "base hit" part of the sequence. I wonder if FSN took at out as professional courtesy to Caray or if it was a TBS requirement to use the video at all. 3) Sunday's version left out pitches, at-bats, even entire innings, so I don't really know everything Caray and Darling said. But it certainly seemed that they were not paying sufficient attention to how long Fernando Rodney was pitching. At one point Darling was speculating about which starter Gardenhire would turn to to replace Bobby Keppel, but I never noticed the broadcasters wondering anything similar about Jim Leyland and his bullpen problems. 4) It had not stuck in my mind how many of the big at-bats for the Twins went to two strikes. Cuddyer had two strikes when he hit the 10th inning triple; Matt Tolbert had two strikes when he drove Cuddyer in; Punto's "base hit" double-play came with two strikes. 5) It may have been the magic of FSN editing, but the potentially crucial 12th inning non-call on Brandon Inge — bases loaded, one out, was he hit by the pitch or not? — did not have a truly definitive replay. I thought at the time, from my perch in upper deck right field, that he was; the ump, from his perch behind Joe Mauer, said no; the replays FSN showed weren't conclusive. If TBS showed a replay from the first base side — the best angle — it didn't make FSN's version. 6) I thought at the time that the two swinging strikes later that inning for Gerald Laird were on pitches out of the strike zone. They looked better to me on TV than they did at the game itself. 7) Caray and Darling — well, at least Caray — raved about a catch Denard Span made in left center. I've perhaps been spoiled by decades of watching Kirby Puckett, Torii Hunter and Carlos Gomez play center, but that was a play I expect to see made. 8) Speaking of plays I expect to see made: Tolbert's game-tying single (referenced above) probably shouldn't have gone through. The Tigers were playing for the double play, after all, which means the second baseman and shortstop are squeezing the middle, and Placido Polanco (who wound up winning the Gold Glove) just didn't get to a ball grounded just to the right of of second base. I didn't have a good angle on that play during the game itself. 9) This is an observation I didn't need the rebroadcast for: The man who scored the winning run (Gomez) is gone; the man who drive him in (Casilla) and the winning pitcher (Keppel) are not particularly good bets to be on the opening day roster. It's a tough business. Everybody else's view of this week's Javier Vazquez (photo)-Melky Cabrera trade between the Yankees and Braves focuses on the Yankees pitching and the Braves lineup. Leave it to me to be parochial and focus on the Southern Minnesota angle. Specifically, this deal appears to open the door to a significant role for New Ulm native Jamie Hoffmann. The Yankees' current starting outfield —based on 2009 plate appearances — includes Nick Swisher, Curtis Granderson and Brett Gardner — a switch hitter and two lefty bats. Granderson's career platoon splits: .292/.367/.528 vs. RHP, .210/.270/.344 vs. LHP. Gardner's career platoon splits: .260/.328/.361 vs. RHP, .241/.310/.316 vs. LHP. Hoffmann is a right-handed hitter. GM Brian Cashman said in announcing the Vazquez trade that the team was not going after further big-money players. Take all that at face value, and the NUN — that's New Ulm native — figures to have at least a shot at a significant platoon role. Do I take it at face value? Not really. The Yankees had supposedly set a payroll target for 2010 under $190 million; they are now above $200 million with just 16 players under contract, two of whom are unlikely to make the 25-man active roster. I believe that they have figures in mind for the name LFs in free agency — Johnny Damon, Matt Holliday, Jason Bay — and are just waiting for one of the three to drop into their laps. But as matters stand, this trade looks like a nice Christmas present for Hoffmann. Record as manager: 709-588, .547. Managers for whom he played: In the majors, Joe Torre, George Bamberger, Frank Howard and Davy Johnson. In the minors, Jack Aker, Bob Wellman, Bob Schaefer, Sam Perlozzo, Johnson and Charlie Manuel. Schaefer, Perlozzo, Johnson and Manuel all managed in the majors. Others by whom he was influenced: Tom Kelly, obviously; Gardenhire was on his coaching staff from 1991-2001. Perhaps less obviously, Manuel, who was the manager of a really lousy Portland Beavers team in 1987; that was Gardenhire's last season as a player, and Gardenhire has spoken with admiration of Manuel's work that season. It's an interesting team, the '87 Beavers — they went 45-96 and provided the parent Twins with little help on their way to the World Series championship. And yet look at them now: Manuel has led the Phillies to three straight division titles, two NL pennants and a World Series title; Gardenhire has won five division titles in eight seasons as manager; outfielder Billy Beane has become a famous and successful general manager; and pitcher Roy Smith and infielder Chris Pittaro went on to prominent front office jobs. Characteristics as a player: He was better, or at least a better hitter, than he lets on. Gardenhire was the "regular" shortstop for the Mets in 1982 under Bamberger — as least as regular as a player with just 384 at-bats gets. In one of his mid-80s "Abstracts," Bill James mentioned Gardenhire as a potential "Ken Phelps all-star" — a player trapped in the minors better than some with major league playing time. James describes Gardenhire as a marginal defensive shortstop with a high secondary average (that being a James stat that mimics batting average, only with the bases other than singles — walks, steals, extra bases). Two things undermined Gardenhire's major league career. The first, and most important, were a series of leg injuries, particularly hamstring problems. The second was Davy Johnson. It's not that Johnson didn't appreciate the value of secondary bases. He did. He did so much that he staffed a middle infield position — second base — with just that kind of player, Wally Backman and (eventually) Tim Teufel. They were both better offensive players than Gardenhire, although neither could even pretend to play shortstop. And having done that at second, Johnson went with a superior glove at short in Rafael Santana rather than further jeopardize his defense. Maybe, with sounder legs, Gardenhire would have emerged as at least the right-handed complement to Backman, a "switch hitter" who couldn't hit lefties at all. Or maybe he'd have been good enough with the glove to beat out Santana, especially considering the scarcity of ground balls on a staff with Doc Gooden, Sid Fernandez and Ron Darling. As it was, he was washed up early, finished as a professional player at age 30. Is He an Intense Manager or More of an Easy-to-Get-Along-With Type? The latter, although he does get ejected with far greater frequency than Kelly did. Is He More of an Emotional Leader or a Decision Maker? A bit of both, probably heavier on the former. Is He More of an Optimist or More of a Problem Solver: An optimist for the first five months or so; he'll give a struggling player plenty of chances early in the season. In both 2008 and 2009 — seasons in which the Twins overcame September deficits to force an tiebreaking game — he spent most of the month with a set lineup, sometimes involving seemingly odd choices, and stopped giving the strugglers chances. Does he Favor a Set Lineup or a Rotation System? The set lineup, basically, although it varies from season to season; in 2006 he used 97 lineups, in 2008 103; both are low by current standards. But he led the AL in lineups used in 2005, and only four managers in the AL used more lineups in 2009. He used a lot of lineups last season just trying to find some alignment that worked. If he finds something that clicks, he'll stay with it even if it has little chance of being a long-term success. Does He Like to Platoon? No. He's had players — Jacque Jones, for example — who were lineup fixtures despite drastic platoon splits. Even when he does platoon — the Brendan Harris/Brian Buscher combo in 2008, for example — he'll go away from the lefty-righty matchup if he thinks it's causing one half of the combo to sit too much in a stretch. Does He Try to Solve His Problems with Proven Players or with Youngsters Who Still May Have Had Something to Learn? His preference appears to be veterans; the front office often doesn't allow him that choice. How Many Players Did He Make Regulars Who Had Not Been Regulars Before, and Who Are They? The vast majority of the significant players on the Twins rosters during his tenure made their major league debuts with the team, and several of those who didn't got more prominent roles than they had elsewhere. When Gardenhire took over from Kelly for the 2002 season, he made Eddie Guardado the closer and tried to make David Ortiz an everyday DH (injuries interfered). Joe Nathan went from being a middle man in San Francisco to closer in Minnesota; Carlos Silva went from long relief in Philadelphia to starter in Minnesota. Nick Punto was a fringe player with the Phillies, a multi-position fixture in the lineup for the Twins. Others Gardenhire made regulars include: Joe Mauer, Justin Morneau, Johan Santana, Michael Cuddyer, Jason Kubel, Jason Bartlett, Carlos Gomez, Denard Span, Scott Baker, Kevin Slowey, Nick Blackburn. Some of this was not his idea. It took years for Cuddyer to get regular playing time; Bartlett only got his chance when the front office disposed of a veteran shortstop (Juan Castro). Does He Prefer to Go with Good Offensive Players, or Does He Like the Glove Men? No set pattern, despite his obvious affection for Punto. The Twins have the reputation of being an outstanding defensive team; the reality is that they've slipped defensively fairly steadily under Gardenhire. Does He Like an Offense Based on Power, Speed or High Averages? High averages, although he's less committed to that than Kelly was. He certainly has more tolerance for the home run/strikeout tradeoff than did Kelly, but even with Morneau, Kubel and Cuddyer, the Twins are not among the AL power-hitting lineups. Does He Use the Entire Roster or Does He Keep People Sitting on the Bench? He frequently has at least one bench player he has no real role for. Does He Build His Bench Around Young Players Who Could Step into the Breach if Need Be, or Veteran Role-Players Who Had The Own Functions Within a Game? His bench is basically guys waiting for their next start. Part of that is a factor of having 12 pitchers and four reserve position players. In September 2009, with an expanded roster, Alexi Casilla and Gomez on the bench and obvious defensive weaknesses in the outfield, he did quite a bit of pinch-running and defensive subbing. Does He Go for the Big-Inning Offense, or Does He Like to Use the On-Run Strategies? He uses, by current standards, a lot of one-run strategies. Does He Pinch-Hit Much, and if So, When? He pinch-hit considerably more often in 2002-03 than he does now. In 2009, he used just 83 pinch-hitters, easily in the bottom half of the league, despite spending much of the season with middle infielders who couldn't hit. Is There Anything Unusual About His Lineup Selection? Spending seasons with the likes of Doug Mientkiewicz (2002) and Lew Ford (2004) as the standard No. 3 hitter is unusual, at least for a winning team. Even Joe Mauer, until 2009, didn't provide the home runs one generally associates with the middle of the lineup. He has also been willing to use a low OBP hitter in the leadoff slot (Jacque Jones, Carlos Gomez). That was clearly a function of the roster. Until Shannon Stewart arrived in midseason 2003, he had no good choices for leadoff. Gomez held the role only until it became obvious that Denard Span was better suited to it. His current preferred lineup has a string of left-handed hitters in the middle — Mauer 3, Justin Morneau 4, Jason Kubel 5. The risk is that it's susceptible to LOOGYs in the middle/late innings, but he wants to have a left-handed bat behind Morneau to punish right-handers who try to pitch around Morneau. If he gets the lead early, he's not concerned about the LOOGYs taking advantage of Kubel. Does He Use the Sac Bunt Often? Yes. The Twins have led the AL the past two years in sacrifice attempts. In 2008 the Twins tried 73 sacs; the next highest was Cleveland at 56. Does He Like to Use the Running Game? Consistently below average in stolen base attempts. His speed is largely in front of Mauer and Morneau, and he doesn't want to lose runners in front of those two. In What Circumstances Does He Issue an Intentional Walk? Reluctantly. Bill James noted that in the three seasons before coming to the Twins, Livan Hernandez had issued 30 intentional walks; this was equal to the career total of Johan Santana and Carlos Silva combined entering the 2008 season. Does He Hit and Run Very Often? He'll do this (or bunt) with the speed guys more than steal to stay out of the double play. He seldom used the hit-and-run in 2002-03, but has been over 100 times a year consistently since. (One hundred is the low, and that was last season). Is There Any Unique or Idiosyncratic Strategies that He Particularly Favors? Not unless you count the infield hit as a strategy. There is an aspect of managerial choice in the abundance of infield hits for the Twins, if only in roster selection; we'll see how this translates with the move from the Metrodome to Target Field. How Has He Changed the Game? Not so much Gardenhire perhaps as the organization, but the Twins approach is being mimicked around the sport. We see increasing numbers of teams reluctant to surrender draft picks to sign free agents and unwilling to trade prospects for quick fixes. Does He Like Power Pitchers, or Does he Prefer to Go with the People Who Put the Ball in Play? Strike throwers who put the ball in play. He's more than willing to have a Santana or the '06 version of Liriano striking people out, but the single most dominant trait of the Twins under Gardenhire (and Kelly before him) is refusing to walk opposing hitters. Lots of teams talk about throwing strikes. The Twins preach it, teach it, live it. Does He Stay With His Starters, or Go to His Bullpen Quickly? Despite Bert Blyleven's "analysis" on the Twins broadcasts, Gardenhire is slower to pull his starters now than he was earlier in his career. By Baseball Info System's definitions of "Quick Hooks" and "Slow Hooks," Gardenhire had 50 or more quick hooks four times in his first five seasons (49 in the other), leading the league in that category twice, but hasn't topped 47 the last three seasons. He is far more willing to push his relief pitchers. He led the AL in using relievers on consecutive days in 2008 with 115 and repeated that number in 2009 (second highest). Does He use a Four-Man Rotation? No. He seldom even skips the fifth slot for off days unless he's protecting a injured pitcher. Does He Use the Entire Staff, or Does He Try to Get Five or Six People to Do Most of the Work? Entire staff. How Long Will He Stay with a Starting Pitcher Who is Struggling? About six starts, then he'll try someone else. This applies to both young pitchers (Anthony Swarzak, Scott Baker early in his career) and low-grade veteran imports (Ramon Ortiz, Sidney Ponson, Livan Hernandez). If it's a key figure — say Brad Radke or Carlos Silva in 2006 — the leash is much longer. What Is His Strongest Point As a Manager? He buys into the organizational philosophies — throw strikes, catch the ball, don't pay big money for small talent, don't fear roster turnover — and gets his players to buy into it as well. 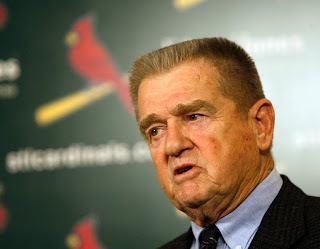 If There was No Professional Baseball, What Would He Probably Have Done With His Life? Career military, like his father. Ron Gardenhire has been manager of the Minnesota Twins for eight seasons. He has a 709-588 regular-season record in that period, a .547 winning percentage, with five division titles. He also has a 6-18 record in the playoffs, with one series win in six series. Tony LaRussa's career winning percentage is lower than Gardenhire's. So is Joe Torre's, and Sparky Anderson's, and Whitey Herzog's, and quite a few other Hall of Fame managers. Of course, La Russa's won a couple of World Series, and Torre's won four, and Sparky's got three titles to his credit ... Gardy hasn't gotten there. Back in the mid '80s, Bill James drew up a series of objective questions about a manager. Who is he? Does he bunt a lot? Does he prefer gloves over bats or vice versa? Does he go to his bullpen quickly? Does he platoon? How does he use his bench? I've long wanted to apply the form to the Twins managers — first Tom Kelly, now Gardenhire — but the form is long, far too long to work in the print column, which was for years the only forum I had. This being traditionally a slow week in baseball news, I've put some time in on what I've come to regard as the Ron Gardenhire Project, and I'll put some more in. In a couple of days I expect to post the results. 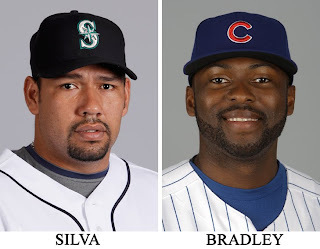 For all the chatter about all the suitors for Milton Bradley — that the Cubs could get the likes of Pat Burrell or Mike Lowell for the temperamental outfielder — when the deal came down, it was for Carlos Silva. The former Twins mainstay went 5-18 with a 6.81 ERA in his two seasons with Seattle. Good luck with that, Cubbies. Cliff Lee says he "thought we were working out an extension with the Phillies. I thought I would spend the rest of my career there." The Phillies GM, Ruben Amaro Jr., says: "We made what we thought was a pretty substantial offer ... Like I said before, I just didn't feel comfortable that we were going to be able to get to the finish line. And so we ended up moving toward the Halladay situation." Translation: Lee's agent asked for so much the Phillies ran away. Johnny Damon has said all offseason he wants to remain with the Yankees. But his agent — Scott Boras — has insisted on a three-year, $39 million deal, which was too long and too rich in the Yankees opinion. Now the Yanks have signed Nick Johnson to be their primary DH. Johnson replaces Hideki Matsui, and Curtis Granderson fills the outfield slot formerly held by Damon. And the Yankees get younger and cheaper. Upshot: Damon won't be where he wants to be, and — assuming Boras was dragging out the Damon talks to make it look as if the Yankees were a possible suitor for another LF client, Matt Holliday — that mirage appears to have faded also. * Falling apart around their ears: Tony Oliva got trapped in a bathroom in the Twins' Metrodome offices Wednesday when the door handle came off. Moving day is next week. I bet they can't wait. The ornately complex four-team transaction that involved two former Cy Young winners and a heap of Grade A prospects finally complete, everybody's in a hurry to declare who won or lost. Too soon. What we can tell is who got what they wanted, and at first blush everybody involved (with the exception of the Blue Jays) should be pretty happy with the results. 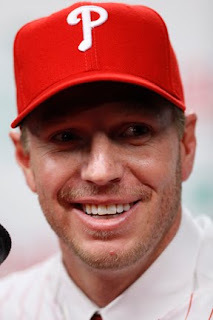 The Jays can't be happy with it because they lost the best pitcher in their 31-season history, Roy Halladay (pictured). They got prospects back — good prospects, to be sure, but prospects nevertheless. The Jays traded Halladay because they are getting more than they would have had they hung on to him for his walk year. It's small comfort. Seattle gets a year of Cliff Lee to pair up with King Felix Hernandez — and a real clear shot at unseating the Angels in the AL West. Philladelphia swaps a year of Lee (who wants to hit the open market next winter) for three of Halladay (who was eager to sign an extension and has pitched better than Lee anyway.). They also get some extra cash ($6 million) and lose a little bit overall in the exchange of prospects. And Oakland wedges itself into the deal at the last minute to swap prospects. Michael Taylor's more useful to the A's than to the Jays, and Brett Wallace fits the Jays needs more than Taylor does. This makes four trades in two years involving Cy Young winners — Johan Santana from the Twins to the Mets before spring training 2008, CC Sabathia from Cleveland to Milwaukee in midseason 2008, Lee from Cleveland to Philadelphia in midseason 2009, and now the Halladay-Lee megadeal. Obviously, we don't know how the new trade will work out. If Kyle Drabek and Wallace live up to the hype and Halladay breaks down, Toronto can wind up looking pretty good; if Phillippe Aumont turns into a top-flight closer and Lee leaves without lifting Seattle to postseason glory, the M's can have egg on their faces. What I will say is this: The Twins did not get a prospect in the Santana trade as well regarded at the time as Drabek, Taylor, Wallace or Aumont — or even Matt LaPorta, the jewel in the Sabathia trade. We outsiders will never know how serious the rumors of Jon Lester or Phil Hughes were, if there was ever truly an opportunity for Bill Smith to get one of those pitchers for Santana. The Twins's take on the Santana trade at this point is two (mediocre) years of Carlos Gomez, J.J. Hardy, Jon Rauch and whatever Delois Guerra may eventually amount to. At this point, we can be justified in saying that they would have been better off keeping Santana for his walk year and taking the draft picks. But then, they'd still be looking for a shortstop. Maybe this is coming together. During the offseason of 2004-05, I wasn't taking the Chicago White Sox very seriously. The Twins had beaten them in three straight divisional races, and the Sox had spent much of the early part of the winter shedding imposing hitters — Magglio Ordonez, Carlos Lee. That was what the Sox had as a strength, right-handed power, and now they didn't have that. And then they signed A.J. 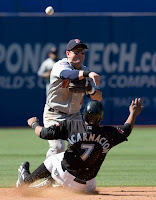 Pierzynski, and I had a sudden feeling of "uh-oh." Now, suddenly, the moves Kenny Williams had made started making sense. Now, suddenly, the Sox looked like a team, not a bunch of stat collectors who were content to lose as long as they got a couple of knocks. It's fashionable for Internet guys like me to downgrade "grinders" and "grit" — but teams need one or two of those players as well as the stars, players who — as Leo Durocher said of Eddie Stanky — can't hit or field or throw, they just come to beat you. That's A.J., and Aaron Rowand, then their centerfielder. And the Sox won the World Series — and then promptly traded Rowand for a stat-collector (Jim Thome). In the four seasons since, they've edged into one divisional title, part because they haven't had a real centerfielder or leadoff hitter. 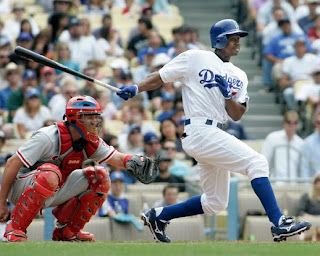 Enter today Juan Pierre (above), veteran centerfielder and leadoff hitter. And suddenly the White Sox look, on paper, like a serious contender. On paper. Williams' reconstruction job has gone heavily on recycled materials. Pierre is widely regarded as a punchline because the Dodgers badly overpaid him; he's 32 now and has been a part-time player the past two seasons, his very presence on the LA roster an embarrassment to the GM. Alex Rios may have provided less production per dollar than anybody who actually played last season. The year before that, the title belonged to Andruw Jones. All three are on the Chicago roster now. As is Mark Teahen (.325 OBP, .409 SLG — dismal production for a corner infielder). And Carlos Quentin, who followed up an excellent 2008 with a stinker of a 2009. The recent past on these guys says one thing. Their previous track records suggest something else. Williams has assembled a lineup heavy with players who had poor 2008s. He's counting on bouncebacks — maybe not from all of them (the odds that Jones will regain his former glory are slim indeed), but from most of them. There's enough of a chance of that to give me that "uh-oh" feeling again. I'm taking the White Sox more seriously now than I did before they added Pierre. The busiest (or at least the loudest) week of baseball's offseason — the one with the Winter Meetings and the non-tender deadline — is now behind us. Where do the Twins stand on what would appear to be their offseason priorities? 1) Resolve Joe Mauer's contract status. Unfinished, with no public display of urgency. The metro coverage suggests this will move to the front burner in January. 2) Rebuild the infield. The addition of J.J. Hardy clears up shortstop. It's clear that Nick Punto will hold down either second or third, and it appears that the Twins are going to look for a late bargain for the other position. My current prediction is that we'll see a reprise of Joe Crede (above) with the hope that his back will hold out long enough for the organization to decide that Danny Valencia is ready. 3) Stabilize the rotation. The retention of Carl Pavano probably satisfies the decision makers. The view here is that he's just one of many back-of-the-rotation guys on the roster; the Twins need somebody to emerge as a true ace. 4) Fourth outfielder. I know — it's a bench job, and as such probably not a true priority. But the departure of Carlos Gomez means the Twins need somebody capable of filling in for Denard Span in center field without embarrassing a pitching staff prone to the fly ball. The leading in-house candidate is Jason Pridie, and I doubt that excites anybody. Here is a list of the 39 non-tendered players who are now free agents. Giving it a quick eyeballing, the outfielders offer the most promisng prospecting for the Twins. A few outfielders who might interest the Twins as more experienced alternatives to Jason Pridie as the fifth outfielder/backup CF: Jeremy Reed, Corey Sullivan, Ryan Langerhans, Alfredo Amezaga, Ryan Church. In terms of a starting infielder — which is certainly a higher priority than an outfield reserve — there's nothing here that interests me. Kelly Johnson (second baseman) rates better with me than Garrett Atkins (third baseman), but the Twins don't exactly need another left-handed hitter. The plus side for the Twins is that their presence in the market may depress the asking price of more palatable players. As for the pitchers ... the guys who can pitch on this list probably can't, because they're injured — Chien-Ming Wang, Jose Arredondo. 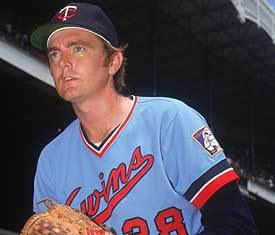 Or, like Matt Capps, they are fit for a role (RH short relief) the Twins have well stocked. They might have an interest in Neal Cotts as a LOOGY. Or maybe not. The only one there was any doubt about was Jesse Crain. This pushes the projected payroll to about $90 million, and that in turn casts doubt on the notion that a major free-agent infield signing is in the works. Keeping Crain, as noted a couple days ago, sets up a potential log jam in the bullpen, with as many as four veteran right-handed set-up men in front of Joe Nathan (Crain, Matt Guerrier, Jon Rauch and Pat Neshek). But Neshek will have to prove first that he is indeed back from his injury, and if he is, the Twins may have a useful trade chip during spring training. Jamie Hoffmann is not your typical Rule 5 pick. But then the New York Yankees aren't exactly the kind of team that uses Rule 5 a lot. 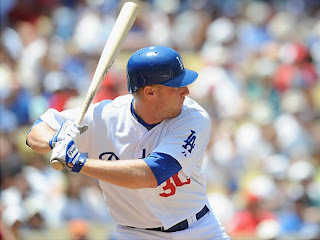 A few paragraphs of definition: Jamie Hoffmann is a 25-year-old outfielder, born and raised in New Ulm, who reached the majors last season for 14 games with the Dodgers and split the rest of the year between the Dodgers' Triple A and Double A affiliates. Rule 5 is intended to keep clubs from burying talent in the minors. It applies to players with more than four years in pro ball who aren't on the parent club's 40-man roster. Any other team can draft such players for a nominal $50,000. The catch is that they have to keep the drafted player on their 25-man (active) roster all season. In effect, the Los Angeles Dodgers, in removing Hoffmann from their 40-man roster last September, said he wasn't one of their 40 best players; the Yankees, in trading for the first pick in Thursday's Rule 5 draft and using it to select Hoffmann, are saying they expect him to be one of the 25 best. Generally, Rule 5 picks are fliers taken by bad teams looking to expand their talent base. It's how the Twins got Johan Santana out of the Houston Astros organization back in December 1999. Its easier for weak teams to carry a talented but too-raw player; the 2000 Twins were going to lose 90 games no matter who they had on their pitching staff. Santana had an ERA of 6.49 that year. That pick paid off in the long run, but it didn't help immediately. That's not a tradeoff the Yankees are interested in. They want wins now. And they think Hoffmann can help as a reserve outfielder. ESPN's Buster Olney tweeted this Thursday: The Yanks intend to head into spring training assuming they'll keep Rule 5 pick Hoffmann on the roster. OK, consider this: The Yankees now have Nick Swisher in right, Curtis Granderson in center, and (at the moment) Melky Cabrera in left, although it seems almost inevitable that Johnny Damon will re-sign with the Bombers once they've jammed his lack of leverage down his throat. When/if that happens, their outfield reserves will be some combo of Cabrera, Brett Gardner and Hoffmann. There's probably only room for two of them on the 25-man roster. I would expect Gardner to be the odd man out. Addition: This link contains an intriguing detail of how it was that Hoffmann made through waivers when removed from the Dodgers' 40-man roster Sept. 1. Proving how little I actually know about the way baseball minds work, within hours of my saying nobody was going to trade for Bonser, the Red Sox did just that. It's a player to be named, and it won't be any great shakes, but it's better than nothing. Maybe. The Red Sox a few years ago traded for Pokey Reese, discovered that he wasn't willing to sign immediately for their price, and non-tendered him within days. (Dec. 19, 2001, trade; Dec. 21, 2001, granted free agency.) I wouldn't be overly surprised if that sequence repeated itself. New Ulm native Jamie Hoffmann was taken by the New York Yankees as the first selection in the Rule Five draft Thursday morning. He either sticks with the major league team all season or is offered back to the Dodgers for half the nominal (by baseball standards) Rule Five price. Hoffmann's minor league stats here. His major league stats — few as they are — are here. *Right now, the Twins appear to have a surplus of veteran right-handed short relievers: Joe Nathan, Matt Guerrier, Jesse Crain, Jon Rauch, perhaps Pat Neshek. But that surplus can easily revert to the shortage that plagued the Twins in the second half of 2008 and for much of 2009. If they do indeed nontender Crain (to avoid paying him approximately $3 million) and the rehabbing Neshek isn't good to go, they're suddenly down to Guerrier and Rauch to set up Nathan — and Bobby Keppel figures to get more game-critical outings than is good for the team. Two RH set-up men are too few; four is too many. * The Twins are understandably vague about their payroll budget, but they have often operated as if whatever their upper limit is may not be breached at any point, even during the offseason when they aren't paying players. If this is the case, and if the upper limit for 2010 is $90 million, it's really difficult for the Twins to add an established infielder without dumping salary before or during the transaction. Which is where the pressure to nontender Crain comes in. Clearing Crain (and Boof Bonser) from the books takes the Twins down to something in the vicinity of $86 million. Is that low enough to fit a Mark DeRosa into a $90 million budget? My guess is not. * The deadline to tender contracts is 11 p.m. CST Saturday. * Trading Bonser is a theoretical possibility but unlikely. A team acquiring him in trade would inherit his arbitration eligibility, and I doubt anybody's eager to take a seven-figure hit on a pitcher with a 5.12 career ERA coming off shoulder surgery. * The Twins' 40-man roster was full as of Tuesday, so it appears they won't be active in the Rule 5 draft on Wednesday. It would be the first time in years they haven't taken somebody in Rule 5. As noted yesterday, Boof Bonser (above) was the loser when Carl Pavano accepted arbitration. He's arbitration eligible — players get credited for service time when on the disabled list, which was at the heart of Glen Perkins' beef with the Twins in September — and figured to get a $1 million contract. Instead, he'll likely get a minor league deal with an invite to spring training. Quite the comedown. We Twins fans will remember him for his name, of course, but we should also remember his fine pitching down the stretch in 2006, his rookie season — 4-1 in September-October with a 2.63 ERA. That was a promising beginning, but it turned out to be his best season with the Twins. It said here Tuesday that something had to give in the Twins pitching logjam. Bonser was the first. Perkins may well be next — and LaVelle Neal suggested that the Twins may cut Jesse Crain loose before Saturday's deadline to tender contracts. Crain projects to get $3 million because he's arbitration eligible. If that seems like a lot for a middle reliever who had a 4.70 ERA, you're right. But he had a 2.20 ERA from August on. Here's the thing: As documented by Joe Christensen, the Twins' projected payroll for 2010 is bumping the $90 million mark. If they're serious about adding a veteran infielder such as Mark DeRosa, they're likely to wind to cut somewhere else. Former Mankato Masher Curtis Granderson is by all accounts about to become a New York Yankee once a complex three-team trade is finalized — which is pending medical reviews. Granderson is an eminently likable fellow and a player of talent and flaws. He can't hit lefties, he strikes out a lot and his numbers have declined the past two seasons. His departure is being mourned in the Tigers blogs I keep an eye on — he's the kind of guy fans easily make emotional investments in — but I think the organization is making a good baseball move here. At lot depends on Austin Jackson, the much-touted outfielder Detroit is getting from the Yankees. What Arizona is thinking, that's another matter. I think Max Scherzer is a more valuable talent than Edwin Jackson, and Daniel Schlereth is a more valuable talent than Ian Kennedy, so what's the point? The Boof Bonser era is over for the Twins; the (sometimes) portly right-hander was designated for assignment Tuesday to fit Carl Pavano onto the 40-man roster. I'll probably comment on this for a Wednesday post. 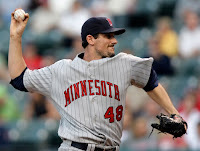 Carl Pavano accepted the Twins' arbitration offer Monday, so last August's rotation stabilizer will remain with Minnesota. This is a better result than some of the rumored alternatives, such as Jarrod Washburn, but, as noted here a couple of days ago, the Twins have no shortage of in-house candidates to fill out their rotation. The Twins pitching staff is overly crowded. Assuming they go with 12 pitchers again, here's how it shapes up. So three vacancies, one in the rotation, two in the bullpen, and one can reasonably figure that the ideal in the 'pen would be a long man and a LOOGY — a Left-handed One Out GuY. The Twins have for those three slots some combination of Francisco Liriano, Brian Duensing, Glen Perkins, Pat Neshek, Boof Bonser, Bobby Keppel, Anthony Swarzak and Jeff Manship. If Neshek is healthy, it's difficult to imagine him not making the team, but there doesn't appear to be an obvious role for him. Bonser and Keppel are out of options; they'd have to clear waivers to be sent to the minors. Swarzak and Manship have to be regarded as longshots to make the team this spring. There's been a lot of friction between Perkins and the organization in the past year. I don't know how readily two or even three of those arms can be packaged in a trade, but something seems likely to happen between now and spring training, or at least before Opening Day. Placido Polanco, a 34-year-old who hit .285 and won a Gold Glove at second base, will average $6 million a year under his new contract. Marco Scutaro, a 34-year old shortstop who hit .282 and scored 100 runs last season, will get about $6.25 million a year under his. And Pavano, a 34-year-old pitcher who led the American League in earned runs allowed and was third in all of baseball in runs given up, is expected to wind up with about a $7 million salary next season. ° Detroit re-signed shortstop Adam Everett to a one year deal. Their top two relief pitchers last season, Brandon Lyon and Fernando Rodney, declined arbitration. They also shuffled LOOGY candidates. ° White Sox manager Ozzie Guillen had what appears to have been an amusing presser Monday at the Winter Meetings. (Managers are expected to do a big press conference, complete with transcription, at the meetings; Ron Gardenhire's had been scheduled for Tuesday, but he canceled his trip to Indy with a flu bug.) That might be about all the Sox accomplish this week; as Phil Rogers reports, they haven't much payroll space. That was the original title of a 1994 Bill James book on the history of baseball's Hall of Fame; it has since been reissued under another title, Whatever Happened to the Hall of Fame? The original title came to mind today as I read the news story about the Veterans Committee's Hall of Fame votes. In: manager Whitey Herzog (above) and umpire Doug Harvey. Left out, among many others: Marvin Miller, the man who built the players union from a figurehead notion to the powerful force that it is today. But the real news is that Miller — again — didn't make it. The committee that voted on executives and "pioneers" elected nobody Monday. It took nine votes from the 12-member committee to get in; Miller drew seven. The two former players on the committee (Tom Seaver and Robin Roberts) voted for him; so too, according to this report, did the three media members on the panel. That's five. Bert Blyleven's California high school math tells us that he drew just two votes from the other seven members, all owners or executives. The very people Miller spent his years beating in one dispute after another have the majority of the votes on the committee. Monday is the deadline for Carl Pavano to accept or decline the Twins' offer of arbitration. What he decides will go a long way toward shaping the team's starting rotation for next season — which is important — but may not really matter all that much. 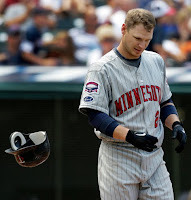 If he accepts arbitration, his foray into free agency is over, and he and the Twins are committed to each other for 2010. If he declines, that probably means that he — or more specifically his agent — believes there's at least one team willing to make a multi-year offer, in which case he's almost certainly out of the Twins' reach. Given Pavano's lengthy injury history, it seems unlikely any general manager will talk two or three years for him — but it only takes one fool to make a market. The thing is, he's not what the Twins need. Oh, the chatter has been about securing an established veteran for the rotation — if not Pavano, maybe Rich Harden or Jarrod Washburn — but that focus misses the real point. 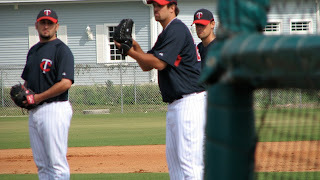 Right now, the Twins have three rotation slots filled: Scott Baker, Nick Blackburn and Kevin Slowey. All three are better than Pavano. But they also aren't proven to be the match of most of the other teams in the AL Central. The top three for Detroit: Justin Verlander, Rick Porcello, Edwin Jackson. The top four for Chicago: Jake Peavy, Mark Buehrle, Gavin Floyd, John Danks. Even Kansas City has Zach Grienke and Gil Meche. In every case, the number one guy has a better track record than Baker, and the number two guy is better than the Twins' number two, whether you regard the Twins second-best starter to be Slowey or Blackburn. What the Twins need, more than a veteran, is somebody who is better than Blackburn and more durable than Slowey has been. Pavano doesn't fit that description; neither, for that matter, do Harden or Washburn. They're all back-of-the-rotation guys. The Twins have a lot of those. That's really what Blackburn is. So are Brian Duensing and Glen Perkins and Boof Bonser and Jeff Manship and Anthony Swarzak. Their need is quality more than quantity. But there isn't a lot of quality available in the pitching market, which means they have to find that quality in-house. And that line of thought always seems to take me back to Francisco Liriano. Fixing him matters a lot more than signing a established 30-something. It's also probably a lot more difficult to do. Last week's poll was about the former Twins players and managers on the various Hall of Fame ballots. It drew 34 responses and 71 total votes; respondents could vote for more than one of the six. Nobody else was particularly close to a majority. Tom Kelly had 13 votes (38 percent), Jack Morris has 11 (32 percent) and Billy Martin four (11 percent). One person said none of the six names deserved the honor. Nobody voted for either Gene Mauch or Mike Jackson. And yeah, I hear you on the mere fact that Mike Jackson is on the ballot. A good short relief pitcher for a long time, but no way a Hall of Famer. This is where I usually tell you that a new poll is up, But frankly, I haven't a good idea for one. 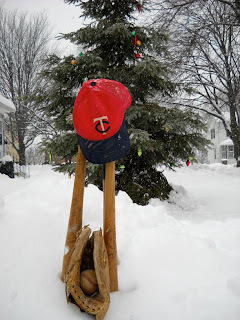 If the Twins make a move during the Winter Meetings this week, I'll put up a poll on it, but for now, we'll go without. The Twins struck early in their infield makeover with the J.J. Hardy trade. Now they seem content to sit back and see who's left without a job when free agency settles down. It's a strategy that may result in a below-market signing — or that may result in a Joe Crede sequel. Or Orlando Cabrera. 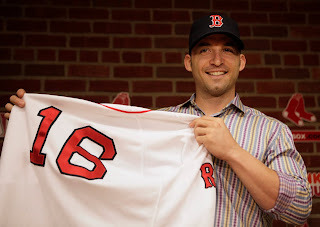 The Twins never figured to be in on Marco Scutaro (above), who signed a two-year deal Friday with the Red Sox. He's a Type A with an arbitration offer, which essentially eliminates him in the Twins scheme of things — they're not giving up a first round draft pick for the privilege of paying a 34-year-old $6 million plus to play in their middle infield. And in that light, it seems odd that the Red Sox made that decision. But they got stuck last year at short when Jed Lowrie got hurt and wound up playing Nick Green for much of the season. They picked up Alex Gonzalez from Cincinnati near the trading deadline, and he at least provided a competent glove, but the Blue Jays grabbed Gonzalez early in the free agent process. So it amounts to a trade of Scutaro for Gonzalez and two draft picks. If Scutaro plays as he did last season, that's fair to both clubs; if he reverts to his usual form, the Jays have a real chance to win that exchange. When teams are scrapping for the likes of Gonzalez and Scutaro to play short, it makes the Twins deal for Hardy look pretty good. Rumor has it that Boston pursued Hardy, but the Brewers didn't like the pitchers offered and demanded pitchers the Red Sox were't willing to trade. Meanwhile, the Twins still have an infield opening. Placido Polanco's gone; Scutaro's gone; Chone Figgins — another guy the Twins weren't going to purse — is apparently all but signed with Seattle. That still leaves most of the infield possibilities mentioned here earlier in the week, with some of the big spenders having filled their holes. I suspect the Twins' favored target would be Adrian Beltre, the cupless wonder, but there's talk that agent Scott Boras is angling for something like four years at $10 million-plus a year, and the Twins won't (and shouldn't) go there on either length or price. After Beltre's .265/.304/.379 season (complete with ruptured testicle), somebody (agent or player or both) probably needs a reality check. Twins fans can scratch Placido Polanco from their wish list; the AL Gold Glove at second base signed a three-year deal with the Philadelphia Phillies on Thursday. He'll play third base for the Phillies, which might seem a waste of a Gold Glove winner until you realize that Chase Utley is better and younger. The Phillies dumped Polanco in midseason 2005. The Phils had Utley at second and the immortal David Bell at third, and if they haven't regretted keeping Bell over Polanco since making the trade, they should have. I wonder if they'd have signed him if the GM who traded him was still there. It's been an odd career for Polanco — a few years as a regular without a position in St. Louis, a couple more in Philadelphia — then he he got to Detroit, and the Tigers installed him at second base and the No. 2 slot in the order and told him to run with it. Which he did. 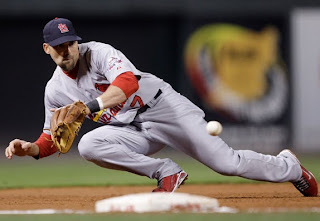 The Cardinals and Phillies saw him as a tweener — a bit too slow for second base, not enough power for third. The Tigers deserve credit for seeing that his reliability — 19 errors total in 4.5 seasons — outweighed his lack of speed. Speaking of the Tigers: Mack Avenue Tigers this week has a five-part series analyzing the general manager reign of Dave Dombrowski in Detroit. Twins fans with a "know thy enemy" inclination will find it of interest. Two former Twins infielders, Brian Buscher and Luis Rodriguez, signed minor league deals this week with the Cleveland Indians. I think both players can help the right manager as bench players — the right manager being one more inclined to platoons and matchups than Ron Gardenhire. Whether Manny Acta is such a manager remains to be seen. As anticipated, the Twins did offer arbitration to pitcher Carl Pavano, which means the Twins will either retain the veteran right-hander or pick up a compensatory draft pick next summer. Pavano's agent has been diligently seeking offers elsewhere, and if the price for Pavano is a multi-year contract, the Twins should be willing to walk away and take the draft pick. But that's only part of the Twins-relevant news out of Tuesday's arbitration deadline. Two Type A second basemen — Placido Polanco and Orlando Hudson — were not offered arbitration, which means a team signing either will not forfeit its first-round pick next summer. This makes them much more attractive to Minnesota. 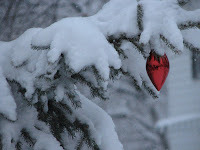 And to plenty of others as well. The Twins are, by my rough estimation, one of 10 teams with a middle-infield hole to plug. And I see eight middle-infield Type A or B free agents, with the second basemen better value than the shortstops (Miguel Tejada, Orlando Cabrera and Marco Scutaro). The Twins generally aren't players in bidding wars, and if Boston is serious about the notion of moving Dustin Pedroia to short, they would be the biggest gorilla in the second-base jungle. On the other hand, a number of the teams with a middle infield opening are thinking young and/or real cheap. It's difficult to imagine the Padres throwing millions at a 30-something keystoner. Then too, the Twins have made it pretty clear that they have one infield opening — either second or third base. J.J. Hardy's the shortstop, and Nick Punto (above) is going to have one of the other jobs. I can imagine the Twins setting up a Dutch auction of sorts for that infield job. Make offers to eight free agents — say, Polanco, Hudson, Tejada, Cabrera, Adrian Beltre, Felipe Lopez, Mark DeRosa and Pedro Feliz — and tell them all: First to accept this offer gets the job, no haggling. Today is the deadline for teams to offer arbitration to free agents, which in turn ties into draft pick compensation for Type A and Type B free agents. A list of Type A and Type B free agents can be seen here. If the Twins offer Pavano arbitration, they'll get a draft pick if he signs elsewhere. If he accepts, the Twins are committed to re-signing him; the ballpark estimate is that it would be a $7 million deal, and the Twins might well be willing to go that route. This deadline, plus the winter meetings next week, should start things moving again in the player market. * Joe Mauer and the Great American Marketing Machine are preparing to embrace. Mauer is now a client of IMG for sponsorships and endorsements. Ron Shapiro will continue to handle Mauer's playing contract. This is the most tangible sign to date of something that's been in the air — the notion that Mauer intends to make a push in the commercial field. Charley Walters (Pioneer Press) suggested several days ago that Mauer would be more attractive to corporate America if he played in a bigger market. Aaron Gleeman (Circling the Bases) suggests that more endorsement dollars would make it easier for Mauer to decide to stay. Take yer pick. I figure that if Payton Manning can become an advertising icon out of Indianapolis, Mauer can be one out of the Twin Cities. Gentleman Joe is a Star Tribune baseball writer and also the Twin Cities' leading advocate for OPS, a make-believe number that Bill James acolytes have embraced. How often must we say this, Joe? Runs scored and RBI mean something; OPS doesn't. Reusse is becoming the press box equivalent of those medieval popes who tried to quash the heretical notion that the earth orbits the sun. Ignorance is one thing, sir; willful ignorance is another.